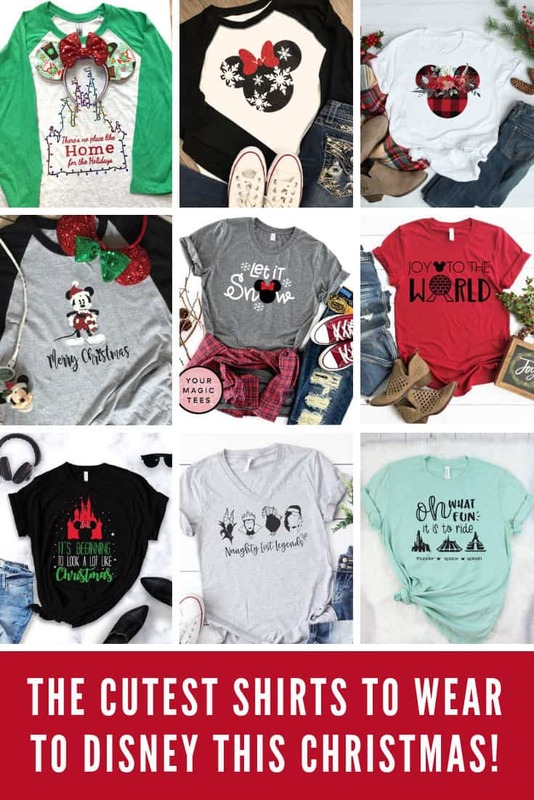 The CUTEST Disney Christmas Shirt ideas for your vacation or just to wear at home in the Holidays. 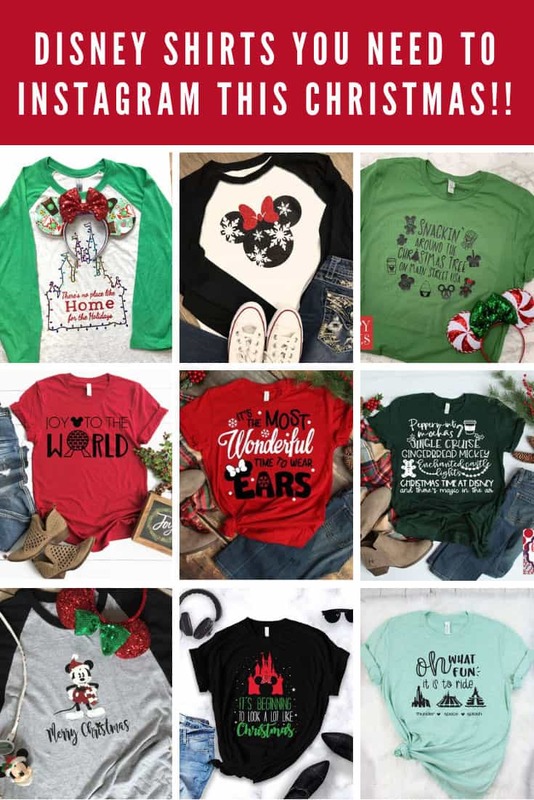 Oh my goodness, I was just pulling together a collection of Disney Christmas family shirts at the request of our readers when I fell down a rabbit hole on Etsy and found the CUTEST Disney Christmas shirt ideas! 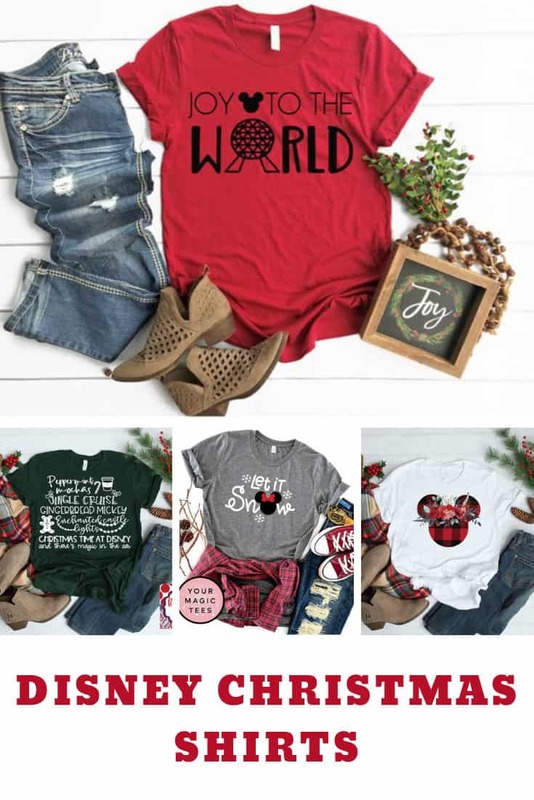 You could totally still wear these shirts as a family, but if you’re not into the whole matching-names-on-your-shirts thing check out these instead! 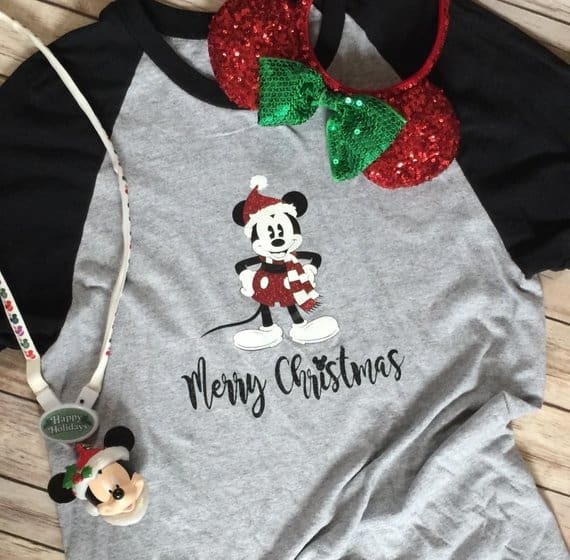 And if you’re only wishing you were at Disney for Christmas this year they’re perfect for wearing at home too to get you in the festive Disney spirit! Love love love this shirt! Such a clever twist on the usual festive song lyrics right? 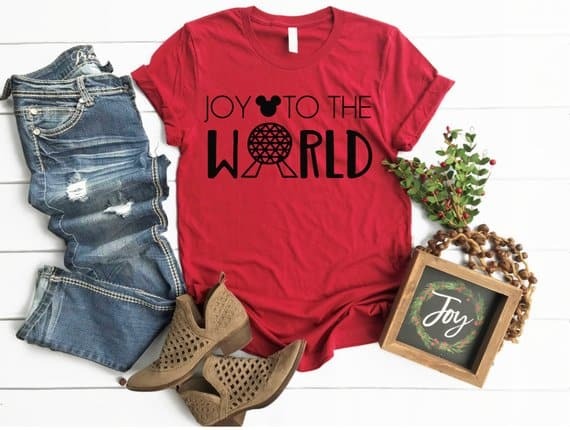 And while this would be a fabulous shirt to wear to Disney World in the Holiday season it would be a cute shirt to wear at home too! 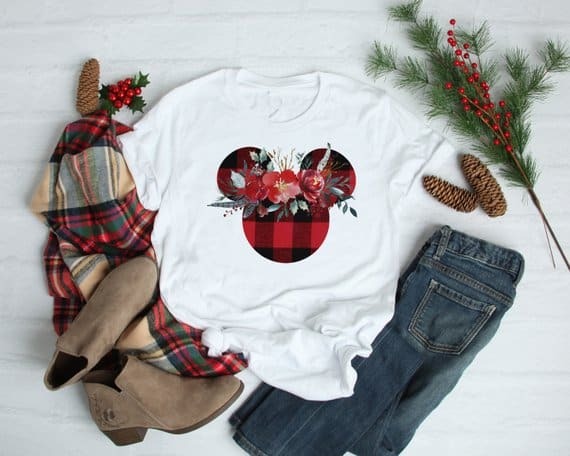 If you love the Farmhouse Fixer Upper style check out this fabulously floral shirt with the buffalo plaid Mickey Mouse ears. 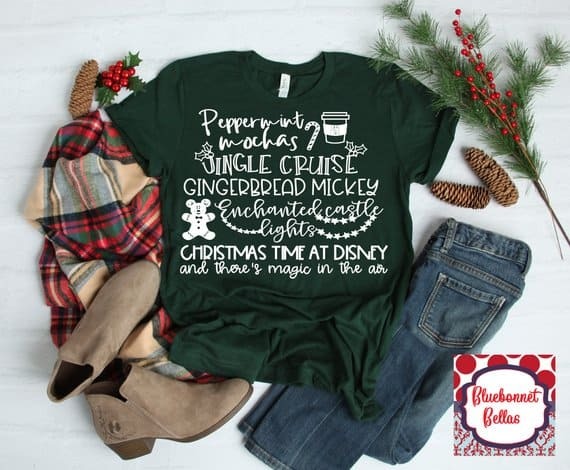 It’s a unisex shirt and you can also have the design printed on baby, toddler and kid sizes so it would work great as a family Christmas shirt for Disney World. 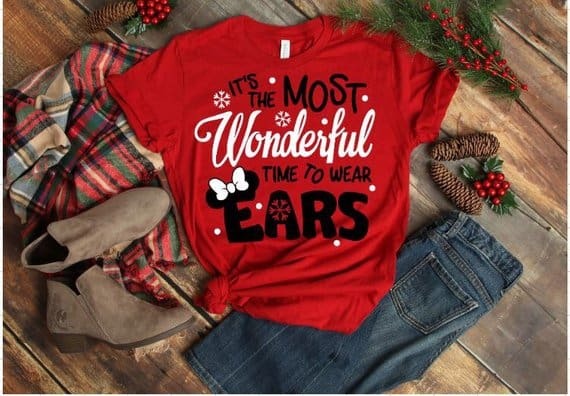 Or you could just wear it at home in the Holidays! If you like raglan style shirts take a look at this one. 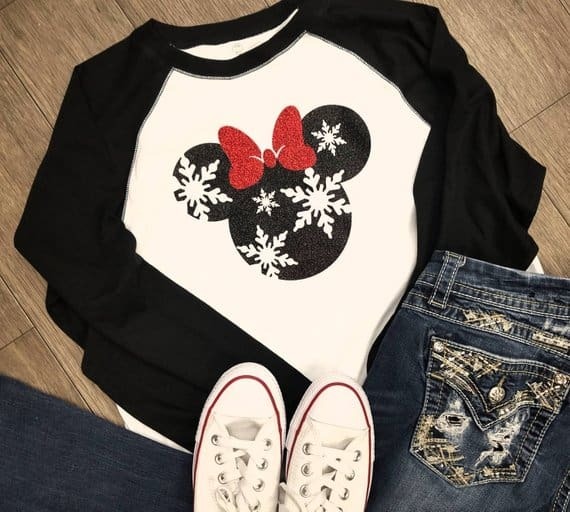 It’s another twist on the classic Minnie Mouse head silhouette, and I love the addition of the snowflakes and the glittery bow! How fabulous is this design with Cinderella Castle outlined in fairy lights! 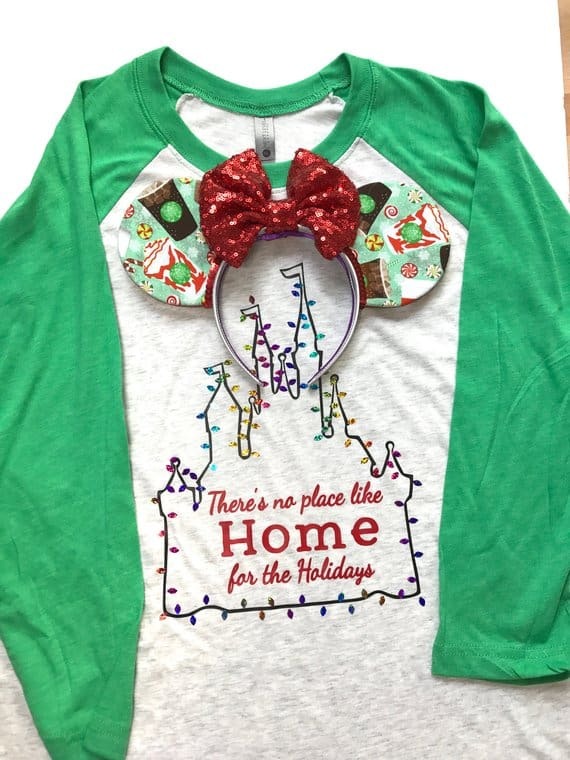 And they’re right, there is no place like “home” for the Holidays! Ah and here is the Big Cheese himself! Mikey Mouse all dressed up for Christmas with his cozy hat and scarf! 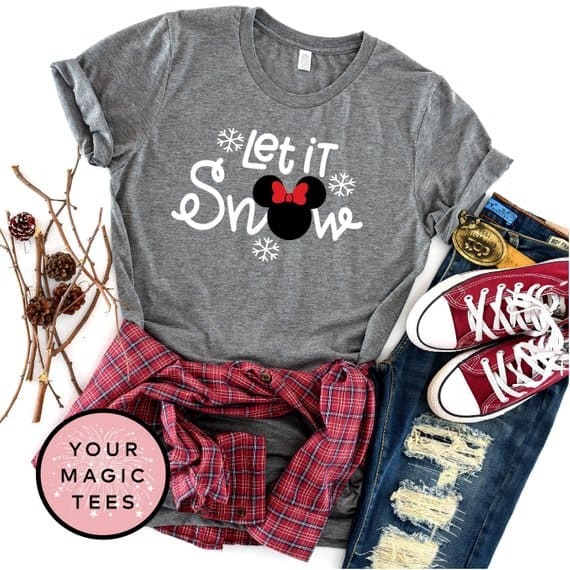 This design is fabulous with the Minnie head in the place of the “o” from Let it Snow! Ooohhh this one is perfect if you’re an EPCOT fan! I think this one is going in my shopping cart! 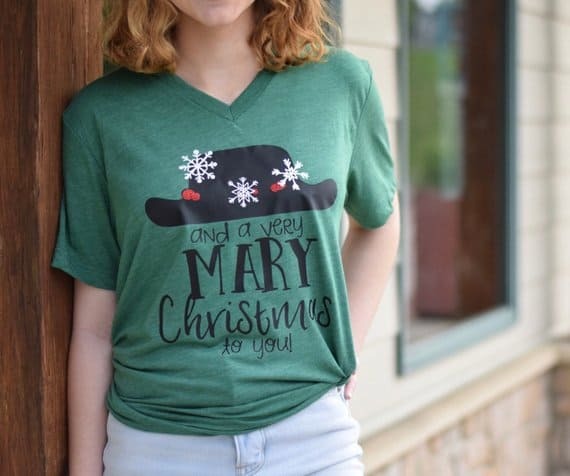 If you’re practically perfect in every way this shirt is the Christmas shirt for you! 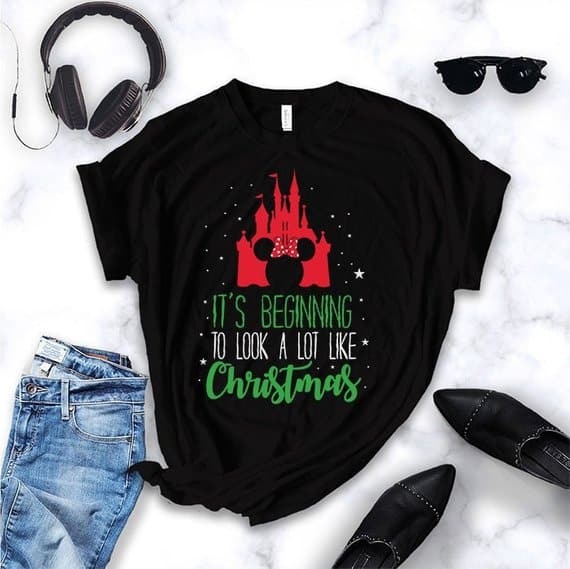 It sure is beginning to look a lot like Christmas with this magical Minnie Mouse ears Cinderella Castle shirt! Ha! Love it! 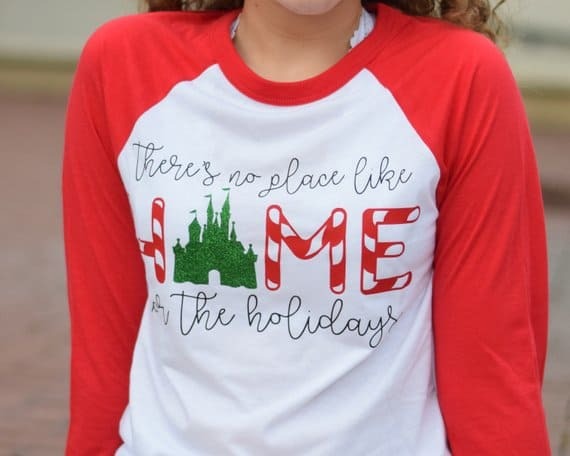 If you always side with the villains when watching a Disney movie you totally need this shirt to wear this Christmas! Oh yes Gingerbread Mickey and peppermint mochas! 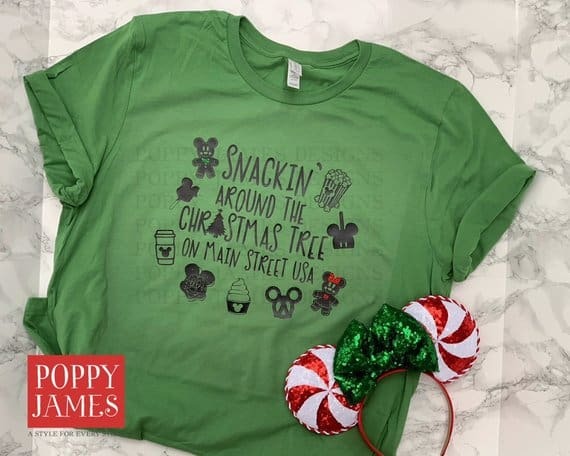 If you’re heading out to enjoy Mickey’s Very Merry Christmas party this yea then this is the shirt for you! Which is your favourite mountain at the Magic Kingdom? Big Thunder all the way in our family! 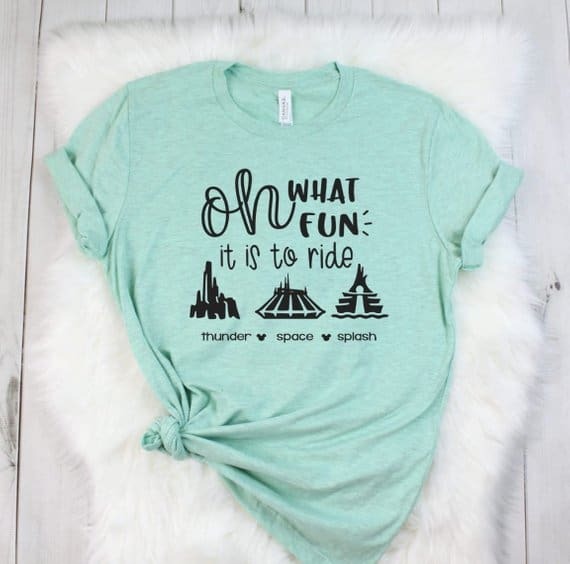 And what a perfect shirt to wear while you ride ’em this Holiday season! Hands up if one of the best things about your Disney vacation is the snacks? My hubby is already planning which festive treats we’re going to be enjoying this year! 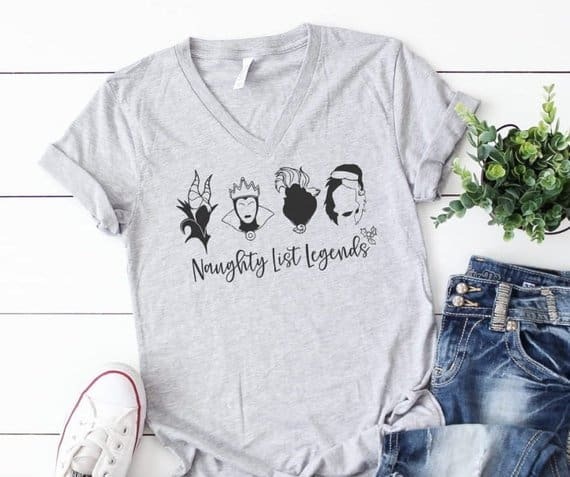 I think I’ll get him this shirt! 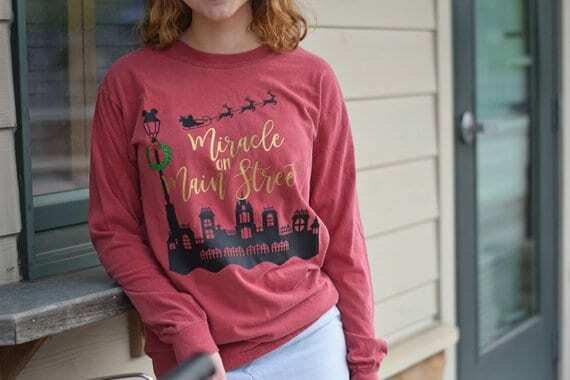 Even in Florida it can get cold during the Holidays so you might want to pack a long sleeved tee like this one! And here’s one more long sleeved tee to finish off our collection! Love the Cinderella Castle candy stick combo on this one!